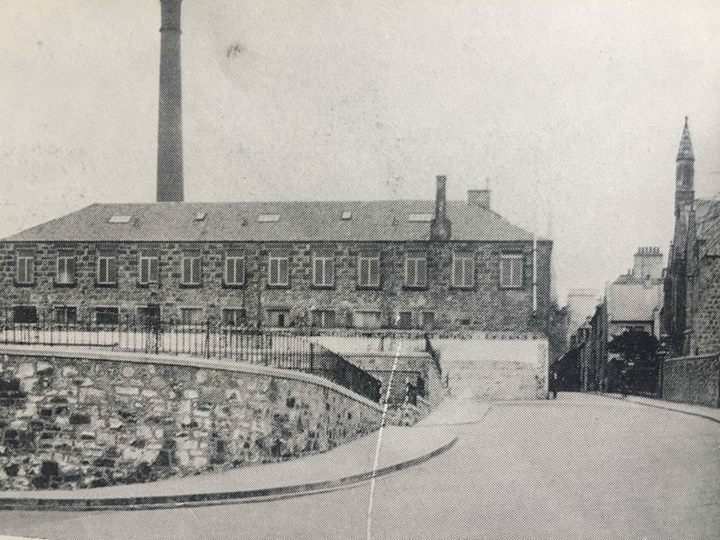 A photograph from the 1940’s looking up over the lower bus station towards Dunfermline Library where the Abbey Garden Works building was, before it was demolished to make way for the ornamental gardens that are now there. The gardens were designed as a garden of remembrance. The church on the right of the picture was Saint Andrews South. We’re the buses on time? That building was demolished slightly before my time. I have never seen it before – thank you. The building on the right was St Andrews South Church, which closed many years ago. Taken from the old Stephens bakery shop? Here’s a pic of a medal that has been in my family for years – says ‘presented by AB Laurie esq, of Boston USA to John Mackenzie, on the recommendation of his employer 15th January 1855. On the other side “award of merit for industry and attention in abbey gardens factory, dunfermline. Never seen this one before. I seem to remember a pet shop in the old Church buidling though – late 50’s? You would be wrong as the lower bus station was further away. I did not understand why there were two bus stations. Every year my family went for a day out at Burntisland and it consequently we made our annual visit to the lower bus station to get there. I no longer live in the town, but I do visit a couple of times a year and I think that the former lower bus station is now a car park.